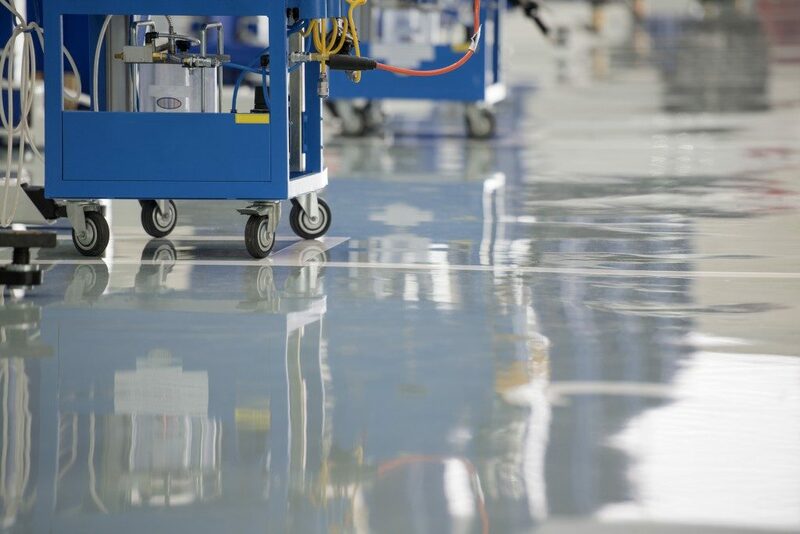 Epoxy floors serve a multitude of purposes: it is both aesthetically pleasing for customers and can contribute to workplace productivity and safety. Not only does in epoxy floors guarantees a clean and polished look to your workspace, but also a safe and efficient surface for your employees. Appearance. Epoxy makes it easier to clean floors and remove stains but still requires cleaning to preserve its clean look. To facilities that have customized industrial floor coatings with logos or certain decorative aspects, maintaining the appearance would be a priority. Safety and Performance. Safety is of great importance in a workplace regardless of whether the epoxy floor is in an industrial/manufacturing workplace, a hospital, a school, or a home. Regular maintenance would ensure the epoxy floor’s continued protective properties such as being slip-resistant, waterproof, or even provide static control. Lifespan and Durability. Depending on use and traffic, epoxy floors will require recoating or touch-ups. Regular maintenance would ensure that your floor would last longer than intended, and delay spending on recoating and touch-ups. Daily Sweeping. 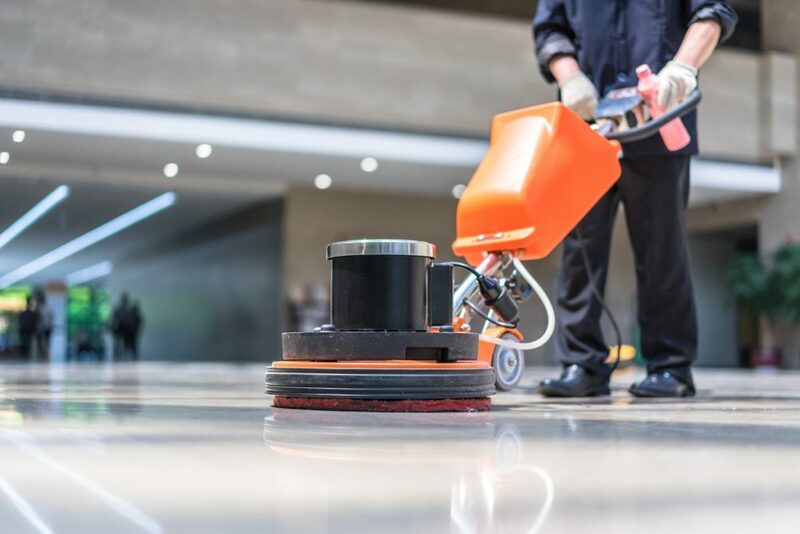 Using a soft broom, sweeper, or a vacuum machine before daily would remove small objects and fragments which would potentially damage or wear out and scratch your epoxy floor. Even dirt and sand, when dragged on the floor against heavy tools or vehicles, or even feet would be able to wear down the epoxy slowly. Weekly Washing. Weekly mopping would be sufficient in keeping your floors looking great and maintain its performance. But make sure to avoid soap-based cleaners as they leave layers which build up over time. Warm water and a good mop or mechanized floor scrubber should suffice. Clean Those Spills and Stains. Spills are not only a safety hazard but can also potentially damage your epoxy floor depending on the substance. Even with chemical resistant-flooring, acids and other solvents could still wear down the epoxy when left untreated and should be immediately removed. If stains have been found, such as rust stains, they should be carefully scrubbed with a sponge or soft brush and warm water. Avoid using hard steel wool or any chemicals. Avoid Sharp Objects and Corners. Although epoxy floors could be scratch and puncture-resistant, constant dragging of sharp or rough-edged machinery or items on the epoxy would still be able to wear out the resistance over time. If it can be avoided, avoid dragging heavy equipment through the bare epoxy floor. Despite its heavy-duty durability and expected lifespan, epoxy floors still require regular maintenance. Performing maintenance would further ensure that you have a clean, safe, and aesthetically pleasing working environment, and not to mention it would save you the additional costs of repairing or recoating your epoxy floors. So, take care of your epoxy floors so it could take care of you.